PowerVac have been servicing our school’s cleaning needs and equipment for many years and have always been professional, supportive and available when you need them. The service department continue to do a great job of maintaining our equipment and ensuring the service schedule is kept up to date. Sodexo are an International Cleaning, Catering and Facilities Management company, operating in over 80 countries throughout the world, employing more than 380,000 people. Here in Australia, Sodexo business is in predominately, the remote mining sector. With over 50 contracts and mine sites, Mining Iron Ore, Gold, Nickel, Diamonds, Coal, Copper, Natural Gas and Oil, situated in Queensland, Victoria, South Australia, Northern Territory and West Australia. PowerVac products we use are exposed to great extremities of the environment such as, weather, temperatures, dust and cyclonic conditions. 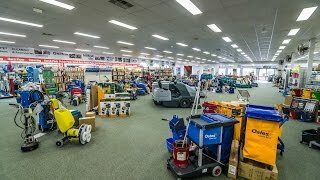 Sodexo Australia, have had a professional relationship with Power Vac for over 18 years, this alone says a lot for the products and service they provide to Sodexo. Stock of products and Parts are always readily available, as PowerVac always hold a comprehensive range. PowerVac provides Sodexo with a second to none service, parts back up and technical support. I personally over the years have got to know Gavin, his wife Rina and the boys well, they have and demonstrate extremely strong family values, these values and integrity, certainly flow over into their business as far as Service, Sales expertise, and back up support goes. I would have no hesitation in recommending PowerVac and would welcome any queries on their behalf, to any business seeking their products and Service.